In the Summer of 2017 saw GMFC leasing its own section of the field we have used since the 1980s and fencing the area off for our exclusive use. This means for the first time that our pits and runway areas are animal free and this has resulted in a huge improvement to the quality of our site. 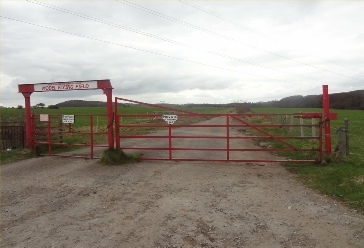 The site caters for fixed wing R/C suitable for an 85m x 20m runway with fences at both ends. We also have a helicopter take off and landing circle. No turbines. Both 2.4GHz & 35MHz can be used.